Medianews - New Universal Mini City to Be Built in Didi Dighomi district"
New universal mini city will be built in Didi Dighomi district, Tbilisi soon. The project, which includes 40 blocks of residential apartments, commercial and entertainment centers, belongs to Omega Group. The new city is intended for 5 000 families and the environment will fit their needs and business interests. The author of the unique project is a British specialist, who was nominated as the best female architect in the United Kingdom last year. The development of the city will be carried out with Georgian-British investment in the amount of GEL 400 million. 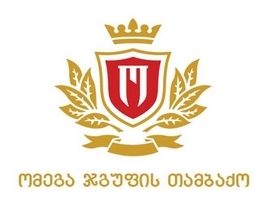 The project has been submitted to the Tbilisi City Hall. Its initiators are waiting for the construction license. Omega Home is expected to create hundreds of new jobs both on the stage of city construction and after its exploitation. According to the project, 60% of the territory will be a residential complex, while 40% is designated for commercial area, recreation zones and entertainment centers. In total, the project covers 160 000 square meters of territory, where along with commercial and entertainment areas, 40 residential blocks will be built. The managers of Omega Group outline several advantages, which, they hope will make the project attractive for the residents of Tbilisi. “Tbilisi is located in a seismically active zone, but during construction we will take into account and follow all local and international standards and requirements in order to ensure that each building is safe for its residents. Upper floor apartments will be another advantage of the project, as it will let the residents take pleasure of beautiful sights of Tbilisi. The residential houses will have green roofs, which will add aesthetic advantage to the project. This mini city will be situated in the ecologically cleanest area of Tbilisi,” – says Omega Group’s general manager, Levan Aghdgomelashvili. 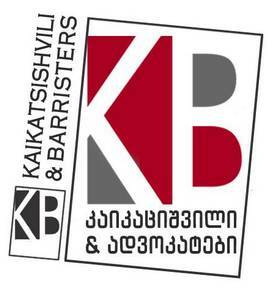 The project, which has not been seen in Tbilisi yet, has been already approved in London. The architect, who worked on the project under the order of Omega Group, is also very well known to Great Britain. Simone De Gale was crowned Architect of the Year at the Women in Construction Awards. The Royal Institute of British Architecture was the place, where the project of the mini city by Omega Group was presented. There were only three projects presented at the most prestigious ceremony of the construction sphere. Mrs. Simone De Gale was one of the three reporters. “We had a goal to create a concept for this project, which within the mixed type of development, would maximally ensure living conditions. With the purpose of the development of the idea, we travelled to Georgia, visited museums and Tbilisi architecture. Then we studied the examples of similar projects around the world, like the one in New York, San Francisco and Barcelona. Finally, we agreed on the concept of unique and specific style. Our client is one of the largest manufacturers in Georgia. I was impressed with my visit to Omega Group’s manufactures, where special attention is paid to order, tidiness, locations. That’s why I wanted to create a project of the style and standards that would fit this company,” – Simone De Gale announced in her speech at the award ceremony. The founder of Omega Group, Mr. Zaza Okuashvili was among the honorary guests at the ceremony held at the Royal Institute of British Architecture, who also delivered a speech and said the project was one of the best examples of Georgian-British cooperation. “I am grateful to be invited here. The ceremony was very informative as I have got very important experience at this event. This is an amazing opportunity for all professionals, including the representatives of business and public sectors. I am proud because Omega Group is cooperating with a very popular architect of the UK. She offered a wonderful project designated for our country and our capital. In its turn, this is a cooperation between Georgian and British parties and our goal is to maintain this sustainability for achieving the best results. Our team believes that we will have the best results. 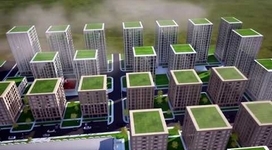 Actually, this is a remarkable and huge project, which will include 3000 residential apartments and create thousands of jobs,” Zaza Okuashvili announced. Former UK Ambassador, Donald Maclaren has hailed the unique project of Tbilisi. “When I was the ambassador of the United Kingdom in Georgia, Didi Dighomi was not a very popular place in Tbilisi but today it is developing. I think, Simone De Gale perfectly demonstrated how a huge project can be implemented and this is not just about putting one brick on another, but its main focus is made on human. Its idea is entirely based on human needs. It has united residential area with business, took into account how people will live there, how they will bring up their children and how they will be provided. This project is so much comprehensive, that I was excited,” – Donald Maclaren said. The new city, which will be built in Tbilisi, will meet the requirements of any segment. Omega Group will offer them the residential or commercial areas of different size and price. 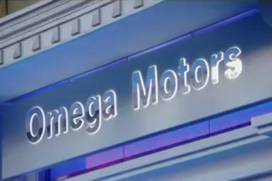 Omega Group has already made GEL30 million investment there. The amount of the planned investment is GEL400 million.